Kevin Wayne Johnson is the Founder and Chief Executive Officer of The Johnson Leadership Group, LLC. He has taken up the task of developing individual and organizational operating excellence as his life’s purpose, plans and through intentional living. He coaches in order to coax audiences to live out their gifts and dreams. Johnson provides organizations, and the people who work within them, with the tools to forge effective personal and interpersonal communication. He delivers training on the elements of dynamic relationships, to equip teams with the attitudes and attributes needed to develop individuals into leaders. He does so through motivating workshops, seminars, insightful keynote speeches and compassionate coaching – all to encourage personal and professional growth. These goals, objectives and desired outcomes are achieved through a series of seven (7) core leadership programs that teach the foundational principles of "value," "care" and "influence." Johnson successfully completed a 34-year career in government and private industry (retired) in late 2017 as a middle-to-senior level leader in various and diverse positions of increased responsibility. 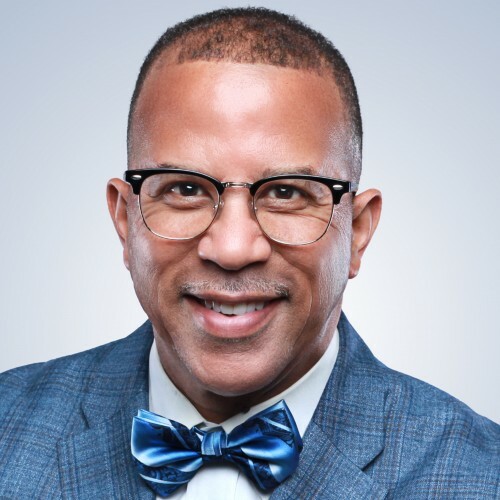 He has managed and led large and small organizations in the areas of workforce development, leadership/management/supervisory training, organizational change, acquisition/procurement, customer service, client relationships, and program management. This work includes major programs/projects with the Department of Defense, Department of the Treasury, the District of Columbia government, the Administrative Office of the U.S. Courts, the Department of the Army, the Defense Logistics Agency, and in the private sector at Vivendi Universal and Reuters America. A native of Richmond, Virginia, Johnson earned a Bachelor of Science in Business Administration and Management/Economics/Finance from Virginia Commonwealth University and completed course work towards an M.B.A. at Marymount University (Arlington, VA) and the University of Colorado at Colorado Springs. He is an ordained Church of God Ministries, Inc. (Anderson, IN) minister and has held numerous leadership positions at the local, regional, national and international levels. Johnson serves as the Faith Commissioner on the Maryland Governor Commission for Suicide Prevention, a 4-year term beginning January 2019. He also serves on the National Board of Directors with Nexus Youth and Family Solutions, Plymouth (Minneapolis), MN. He lives in Clarksville, Maryland, with his wife Gail, of 25 years, and three college-aged sons - Kevin, Christopher, and Cameron. John C. Maxwell is a New York Times #1 best-selling author of several leadership books and ranked as the #1 leadership expert worldwide by Inc.com (2009-2018) for eight consecutive years. 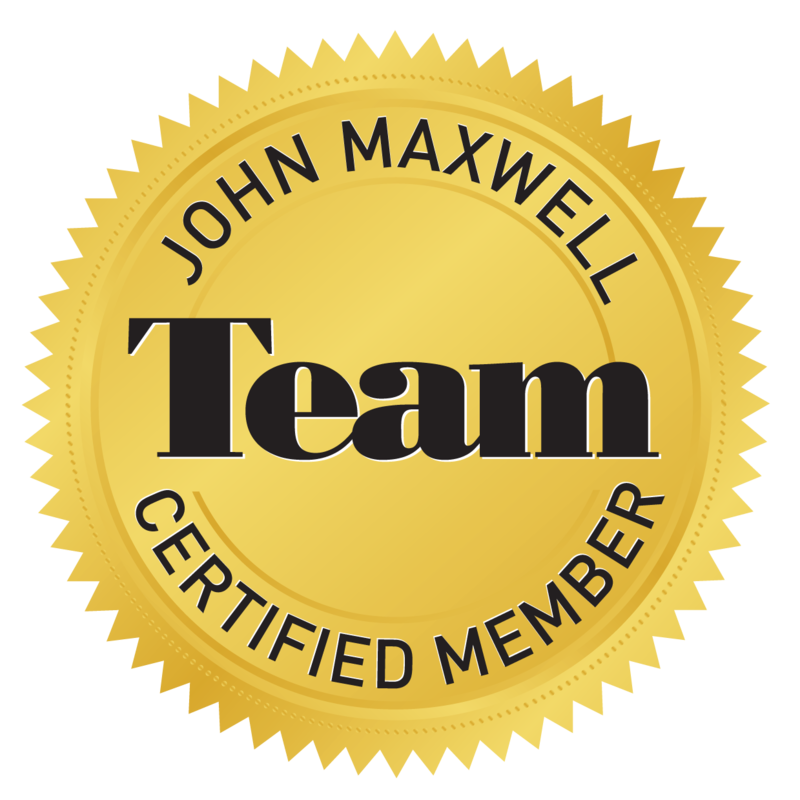 The John C. Maxwell Team endorses and certifies trainers, mentors, coaches and speakers for national and international engagements. Book 2 – Called to be Light in the Workplace ISBN: 978-0-9705902-1-3 ©2003 $14.95 Called to be Light in the Workplace is the second book in the Give God the Glory! series of books and devotionals - books on FAITH. This book challenges its readers to be ‘light’ on their respective job(s) in each of the three phases of career progression: (1) Entry-level (trainee or intern), (2) journey-man level (middle manager), and (3) senior level (executive or mentor). God’s Word ministers about how to encourage others at work and influence positive change in the midst of dysfunctional places of employment. Book 3 – Let Your Light So Shine (a devotional and gift book) ISBN: 978-0-9752572-9-6 ©2004 $7.95 This devotional book on FAITH continues the Give God the Glory! series. Light (phos) means “to give light.” It is that which enables us to see (able to clearly distinguish between right and wrong). It is the intellectual, moral, and spiritual element by which we may see (Matthew 6:23). Through our light, we make God visible to all men and demonstrate that His love transcends all that is wrong with this world. It is characterized as an element that: Illuminates, Shines, Exposes and expels darkness, Projects and extends brightness, Causes one to see, Radiates, and Reveals. Book 4 – The Godly Family Life ISBN: 978-0-9705902-3-7 ©2005 $13.00 This book on FAITH continues in the Give God the Glory! series. It is a detailed analysis of what the Bible teaches and instructs concerning the roles of the father, mother and children, despite man’s intention to alter God’s plan for the family. Readers will clearly understand that the man is the foundation of the family, the family is the foundation of the church, and the church is the foundation of our nation. Every man’s battle must be fertilized with the Word of God. Woman of faith, women for faith and woman faith are exemplified throughout chapters fifteen through twenty. Parenting with a purpose, parenting with purpose and the purpose driven life are manifested in our lives when we apply the Biblical principles and answer the thought-provoking questions that are found at the end of each chapter. Saving your marriage before it starts is a fundamental Christian principle. Book 5 – Your Role in Your Family (a devotional and gift book) ISBN: 978-0-9705902-4-4 ©2006 $7.95 The Give God the Glory! series of books and devotionals continues with book #5. A companion gift book and devotional to book #4 in the series, The Godly Family Life, Your Role in Your Family offers greater detail on the Biblical significance of the family as God intended in the beginning. Book 6 – STUDY GUIDE: Know God and Do the Will of God Concerning Your Life ISBN: 978-0-9705902-2-0 ©2008 $15.00 Essential to your reading curriculum on FAITH, this study guide redefines the core message of the first(1st) book in the Give God the Glory! series: Know God (mental) and Do the Will of God (action) Concerning Your Life. Systematically divided into two parts with three chapters each, this STUDY GUIDE navigates its readers through an in-depth study to broaden their knowledge of God’s Word and to develop a closer walk with Him. The purpose of this Study Guide is so that the world may know, to demonstrate the power of positive thinking, walking in His steps, and to understand the principles of a life based upon your FAITH. Book 7 – The Power in the Local Church ISBN: 978-0-9705902-5-1 ©2010 $19.95 FAITH is explored as the Give God the Glory! book series continues. The “Glory” of God represents His divine qualities. They are revealed through His beauty, brightness, splendor, and radiance as well as His visible revelation of Himself. A fundamental belief in God is manifested individually, and corporately, through the local church. The local church represents a gathering place where any number of souls are called together and united in one vow, for divine worship, where the pure Word is preached, Godly living is taught and we discover that the local church serves three primary purposes: (1)	It represents the body of believers who are saved by or because of their relationship with Jesus Christ (Body of Christ), (2)	It is comprised of those who are assembled together by their bounds of habitation (the local church), and (3)	We are the Bride of Christ (the local church is charged to teach its members how to live out the principles contained within the pages of The Holy Bible – God’s Word). We are instructed by God’s Word to assemble ourselves together (Hebrews 10:24-25) for the purpose of comforting one another, to promote good works, and to demonstrate love and affection to everyone within our sphere of influence. It is through our good works that God is glorified (Matthew 5:16). Then, The Power in the Local Church is personified through us that represent Him in the earth. Book 8 – Know God and Do the Will of God Concerning Your Life (REVISED EDITION) ISBN: 978-0-9705902-6-8 ©2011 $10.99 (See book no. 6 above) - this original book on FAITH was revised and re-distributed to the general marketplace in 2011 with a new book cover and updated content in each chapter for clarity and timely revisions. Book 9 – Called to be Light in the Workplace – A Workbook ISBN: 978-0-9705902-7-5 ©2013 $15.00 Called to be Light in the Workplace (based on FAITH) – this workbook is the revised and expanded version of the second book (2003) in this series. This workbook challenges its readers to be ‘light’ on their respective job(s) in each of the three phases of career progression: (1) Entry-level (trainee or intern), (2) journey-man level (middle manager), and (3) senior level (executive or mentor). Blended Familes: An Anthology (2006) - as a contributing author, this non-fiction earned the 2008 Christian Small Publishers Association Book of the Year. It is a detailed view on how to navigate through the blended family dynamics and how to succeed through our new and intimate relationships. Edited by Valerie Coleman. Weekend Wealth Transfer (2016). I was interviewed for this book by the principal author - Gwen Richardson. This non-fiction book reveals how dollars move out of selected communities and offers strategies on how to retain these dollars for the purpose of community development, retention, assisting small businesses and restoring neighborhood confidence. During my interview, I offer strategies and techniques for communities to keep their wealth in their respective communities and the resulting benefits. Multiple plaques and letters of appreciation for keynotes, guest speaker or preacher, seminars and workshops, since 2001. Find out more about Kevin Wayne Johnson at http://www.thejohnsonleadershipgroup.com.